At 4:40 a.m. on Friday, June 23, 2016, the BBC’s David Dimbleby announced the “historic moment” of Leave’s victory in the European Union referendum. One of those historic consequences will be damage to the US-UK “special relationship” that has been a pillar of Britain’s political, economic, and military strategy since 1945. Brexit’s campaigners have insisted that the UK can easily replace its economic position within the EU with the primacy of links with the US. That assertion — whether from genuine belief or political manoeuvring — is misguided. For all the myths of the “special relationship”, US interests rest on links with Europe, rather than with London. From the interlinked creation of NATO and the EU’s ancestors, such as the European Economic Community, to the support of Western Europe as a bulwark against Soviet Communism to the post-Cold War strategy of “engagement and enlargement”, America’s economic and political strategists have built their approach on a UK inside Europe, not detached from it. The current US leadership has not been shy about reasserting this. 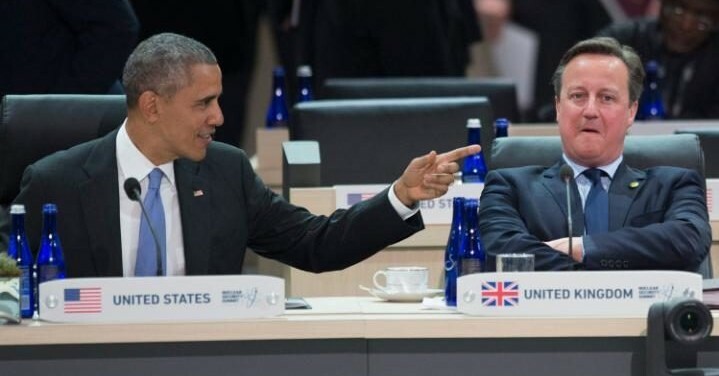 To the contrary, President Obama made clear in March that the UK would be at the “back of the queue” for trade deals if Brexit triumphed. Former high-level officials — used as channels for the views of those who now hold their positions — spoke of the negative effects not only on Britain’s economic future but on relationships within diplomatic, military, and intelligence partnerships. Even before Washington woke to news of the result, the US reaction has been anticipated in Asian markets in which the pound fell 11% against the dollar in less than seven hours. The opening of American markets later today will drive home the warning, even if President Obama, his advisors, and Presidential candidate Hillary Clinton will be guarded in their assessments. The US-UK relationship rests on institutions which prefer security and certainty. Given that the UK — which may not be “United” in the near-future if Scotland departs — is entering a period of protracted insecurity and uncertainty, Washington will not be looking at “Independence Day” England and Wales as an asset, but as a problem. Trump may never realize that Scotland’s electorate voted 62-38 for Remain, and that the leader of the Scottish Nationalist Party, Nicola Sturgeon, made it crystal-clear that Scotland’s future is with the European Union. But more sober observers in the US will see this — and much more. Like many other fallouts from the “historic moment”, this does not bode well for the prominence in the world of a little England.